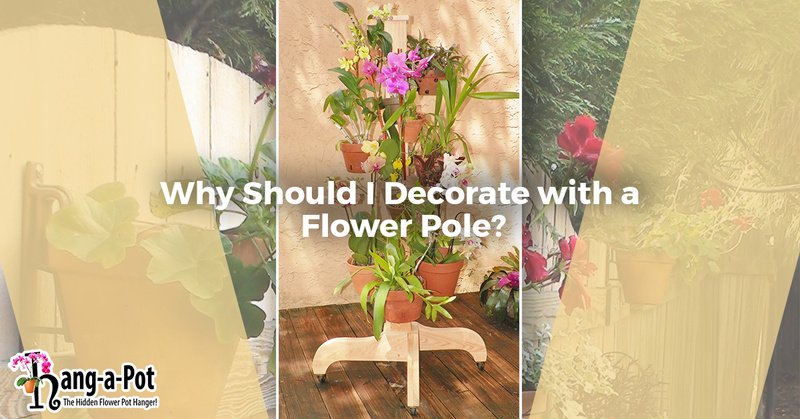 Why Should I Decorate with a Flower Pole? Have you ever potted beautiful African daisies, begonias, or petunias, only to have them wilt before summer even gets underway? Maybe you’ve made the mistake of planting your flowers too soon in the season and a late spring freeze got the best of them. Chances are, if you’re a gardening enthusiast, you have experience with one or both of these situations. Wouldn’t it be wonderful if there was something that could help prevent things like this from happening? Luckily, there is a product that can do just that! 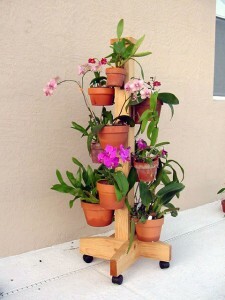 Hang-A-Pot flower poles offer many planting solutions for indoor and outdoor gardens. Available in three– and five-foot heights, these plant poles make a great addition to any space. Curious? Shop now and order yours to discover the amazing benefits for yourself! If you’re looking for a simple way to add a splash of color and elegance to your living room, kitchen, or patio, search no more! Made from durable, high-quality cedar wood, a Hang-A-Pot flower pole is beautiful before you even add any pots or foliage to it! Depending on your preferences, you can paint or stain the pole to match the your home’s color scheme and design; or, you can get really creative, and coordinate the color of your flower pole to the color of your potted flowers. Once you’ve installed the hooks and hung gorgeous flower displays on the pole, all you have to do is decide where you want to display your unique creation! Wouldn’t it be incredibly convenient to have a gardening solution that allowed you to place plant hooks at varying distances apart to create a custom and unique floral arrangement? Even better, how helpful would it be if this solution had wheels in order to be mobile, allowing you to roll it from room to room to enjoy your beautiful arrangements in any space? With a Hang-A-Pot flower pole, you get the best of both worlds! The plant poles come complete with pre-drilled holes, multiple plant hooks, and mounting hardware to make installation a breeze. In addition to its simple beauty and elegance, versatility, and mobility, our flower pole can help your plants stay healthy and happy. Because the pots are virtually suspended in air, you can be sure that your prized orchids and other sensitive flowers get adequate drainage in order to thrive. Because the pole is mobile, you can also move your plants easily from indoors or outdoors to save them from severe weather conditions. Likewise, you can easily move your flowers throughout the day as needed to adjust the amount of sunlight they receive. It doesn’t get any easier than that! These amazing display poles are made right here in the United States, and each one is individually handcrafted by master woodworkers of the Chickasaw Nation. For design inspiration ideas, be sure to check out our photo gallery! With free shipping on every order, you won’t find a better deal than this. Shop now and order yours today!